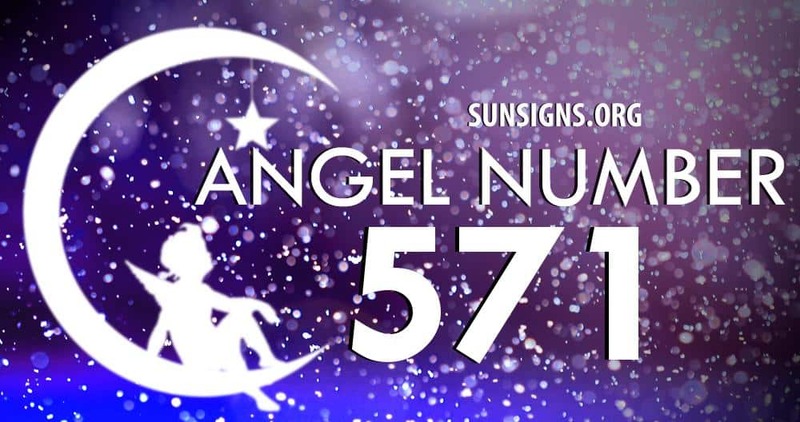 Angel number 571 is a message from the angels that we have been working hard. By doing so we are making the changes that we need to make in order to follow our life path to reach our dreams. 571 reminds us to continue along our current paths. We should not be afraid as the guardian angels are there to guide and support us. We create our own reality and therefore can do anything that we set our minds to. Number meaning 571 shows that due to your hard work, all your dreams and desires will be fulfilled. Wealth and money will be of no issue. So keep at it and do not give up! Number 571 is blend of the energies of the number 5, 7, 1, 57, 71 and the number 51. Number 5 is a prompt for us to be our true selves, and to live accordingly to this. 5 resonates with freedom and making important life changes. Number 5 also rings with the vibrations of desire and seeking good fortune. Angel number 7 carries the vibrations of motivation and progress. It resonates with the energies of enlightenment and spiritual awakening. Number 7 is a mystic number that prompts us to seek our higher selves, and to consider psychic abilities. Number meaning 1 relates to motivation, progress and creating new beginnings. It is a number that prompts us to be individual and assertive. Number 1 tells us that we should step out of our comfort zone in order to achieve our dreams. Number 57 is a reminder of the importance of being adaptable and versatile. We are prompted to use our resourcefulness in order to achieve our dreams. 57 is a powerful number that reminds us that changes will enable us to become stronger and develop our intelligence. Angel number 71 combines the energies of 7 and 1. It relates to progress and achievement. 71 is a number that prompts us to strive for success, and to remember that we create our realities with our thoughts and actions. Overall, angel number 571 is telling you to expand your reality on the basis of your own actions.